UNHCR (United Nation High Commissioner for Refugee) Good Will Ambassador Angelina Jolie during her visit to Afghan returnees from the recently closed Jallozai camp in Lower Skeikh Mesri. 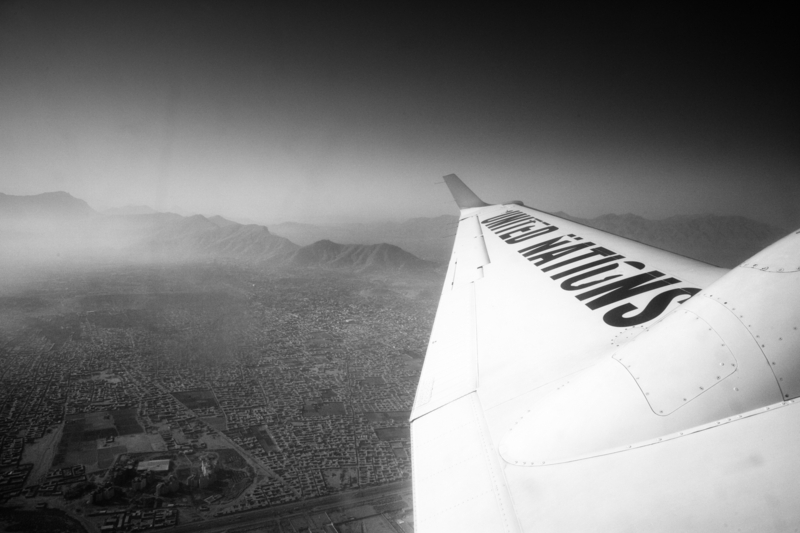 A United Nation plane carrying UNHCR (United Nation High Commissioner for Refugee) Good Will Ambassador Angelina Jolie is flies over Afghanistan during her visit to Afghan families that recently returned from Pakistan. UNHCR (United Nation High Commissioner for Refugee) Good Will Ambassador Angelina Jolie on a United Nation plane as she flies from Jalalabad to Kabul during her visit to Afghan families that recently returned from Pakistan in Tangi refugee camp. UNHCR (United Nation High Commissioner for Refugee) Good Will Ambassador Angelina Jolie is seen during her visit to Afghan families that recently returned from Pakistan in Tangi refugee camp. 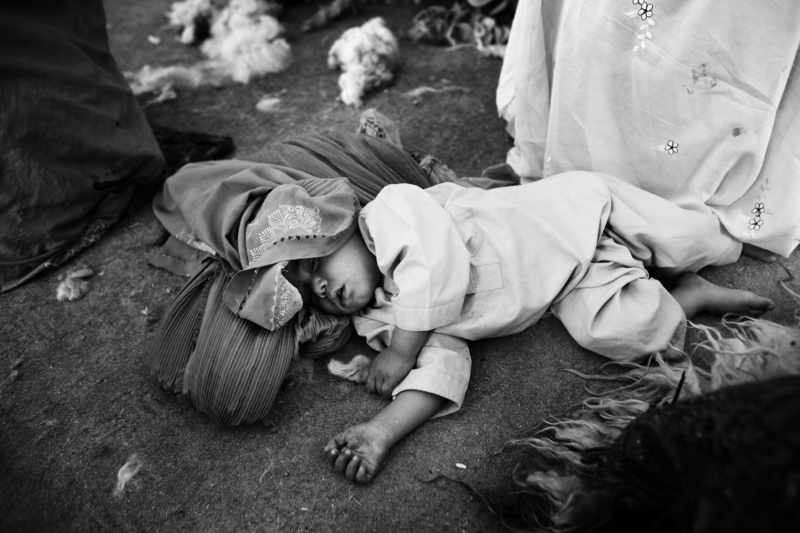 An Afghan orphan is seen sleeping on the floor in a skill training project facility for widows during UNHCR (United Nation High Commissioner for Refugee) Good Will Ambassador Angelina Jolie’s visit to Afghan families that recently returned from Pakistan. UNHCR (United Nation High Commissioner for Refugee) Good Will Ambassador Angelina Jolie during her visit of Afghan returnees from the recently closed Jallozai camp in Lower Skeikh Mesri. 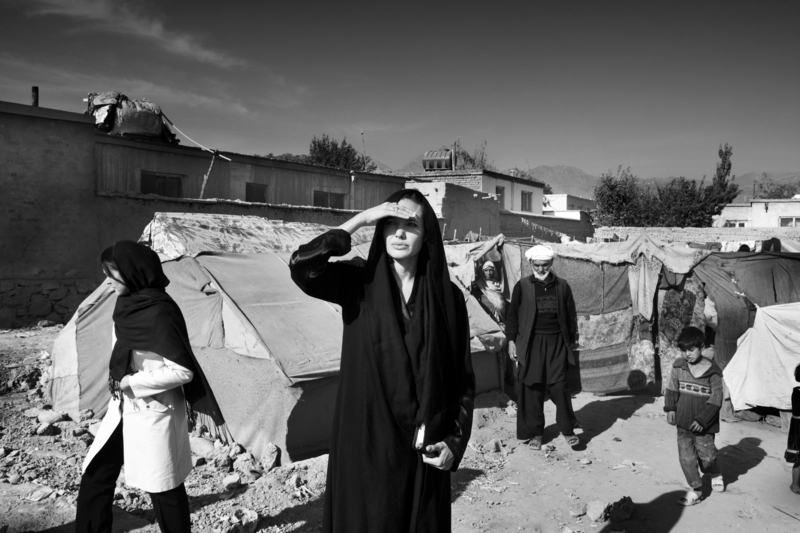 UNHCR (United Nation High Commissioner for Refugee) Good Will Ambassador Angelina Jolie is seen in a camp of Afghan returnees. 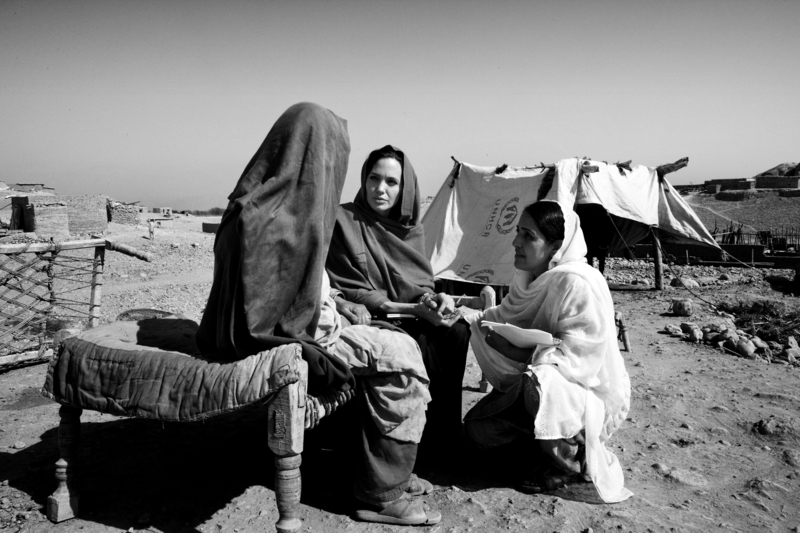 Eighteen families are living under makeshift tents, in very poor hygienic conditions which returned from Pakistan in 2002/2003 under the UNHCR assisted repatriation program. They were landless and did not return to their place of origin in Parwan province, but instead decided to stay in Kabul making their incoming from daily wage labor for the men and begging for most of the woman and children. 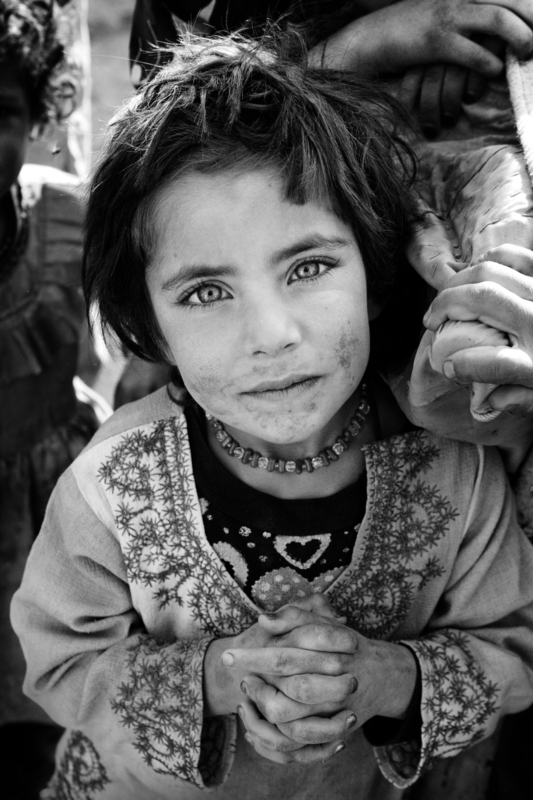 An Afghan returnee is seen during the UNHCR (United Nation High Commissioner for Refugee) Good Will Ambassador Angelina Jolie’s visit. Eighteen families are living under makeshift tents, in very poor hygienic conditions which returned from Pakistan in 2002/2003 under the UNHCR assisted repatriation program. They were landless and did not return to their place of origin in Parwan province, but instead decided to stay in Kabul making their incoming from daily wage labor for the men and begging for most of the woman and children. 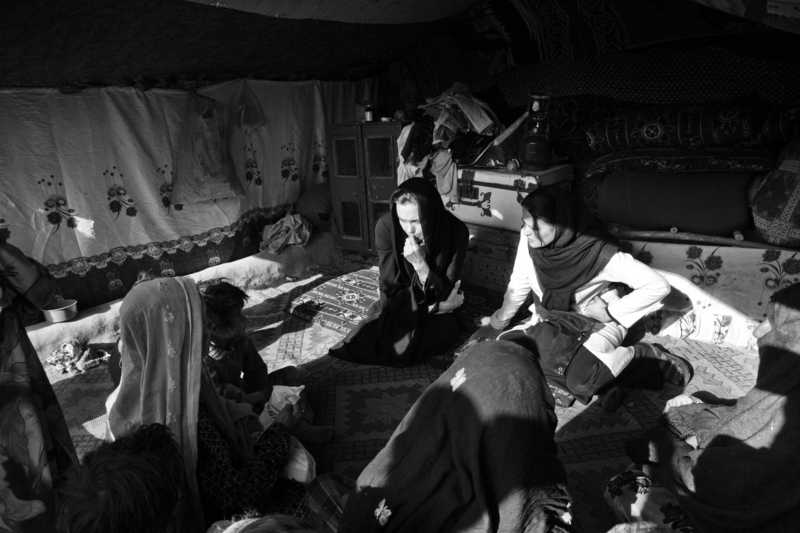 UNHCR (United Nation High Commissioner for Refugee) Good Will Ambassador Angelina Jolie talks to Afghan returnee squatting in a public building during her three days visit in Afghanistan. Sixty-five families that returned from Pakistan and Iran around 2002 are squatting in what was a bus station as they came to the city to look for employment, due to the lack of land and job opportunities in their province of origin. UNHCR (United Nation High Commissioner for Refugee) Good Will Ambassador Angelina Jolie holds hands with an elderly Afghan returnee squatting in a public building during her three day visit in Afghanistan. Sixty-five families that returned from Pakistan and Iran around 2002 are squatting in what was a bus station as they came to the city to look for employment, due to the lack of land and job opportunities in their province of origin. 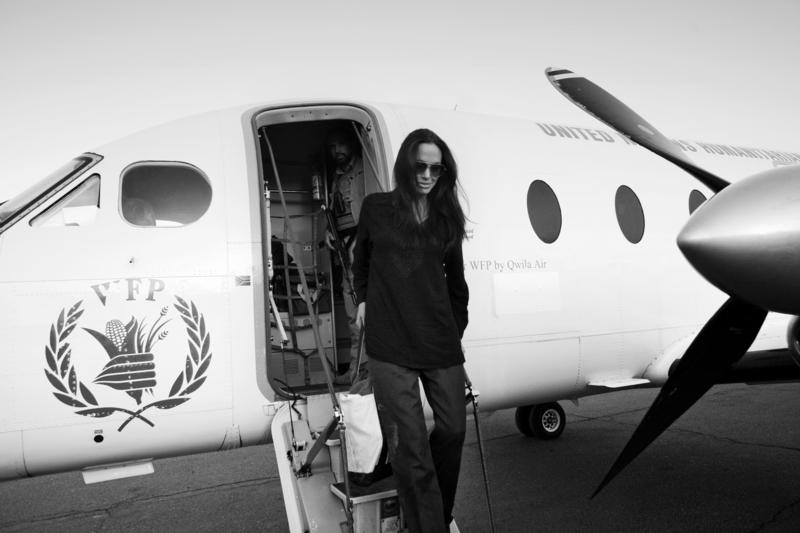 (United Nation High Commissioner for Refugee) Good Will Ambassador Angelina Jolie is seen exiting a United Nation plane as she arrives to Kabul from Jalalabad during her visit to Afghan families that recently returned from Pakistan in Tangi refugee camp. 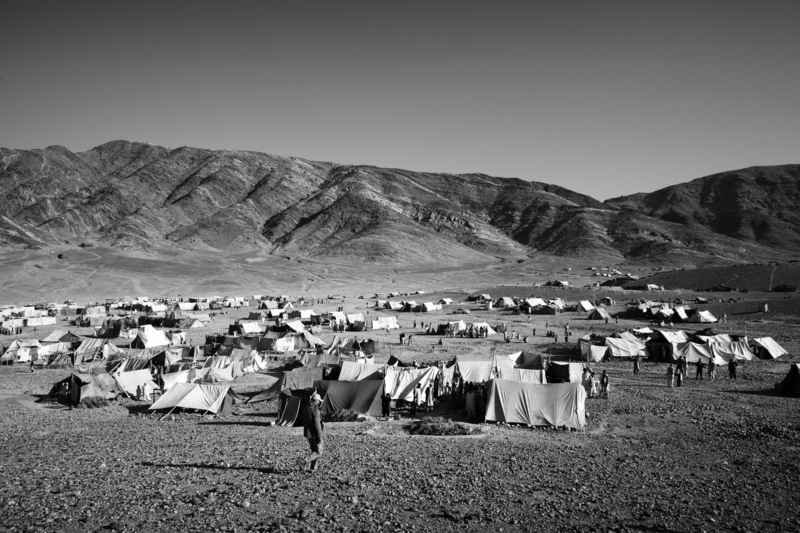 Tangi refugee camp is seen during UNHCR (United Nation High Commissioner for Refugee) Good Will Ambassador Angelina Jolie’s visit to Afghan families that recently returned from Pakistan. 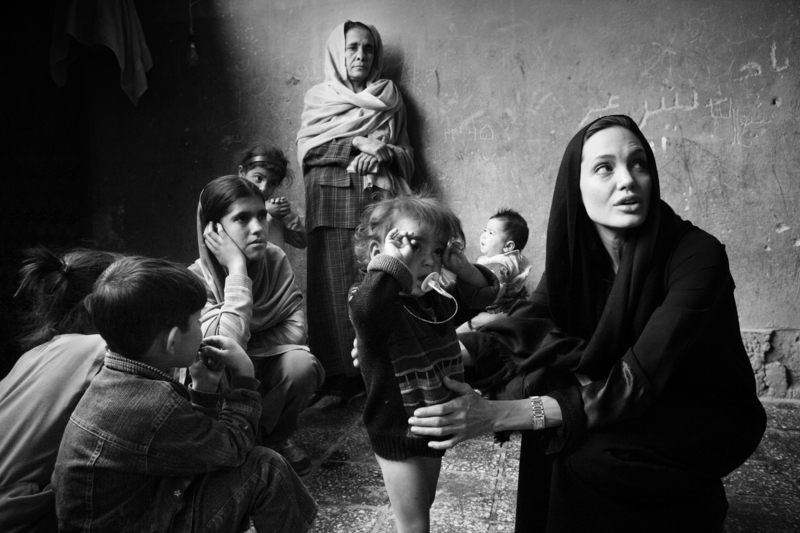 UNHCR (United Nation High Commissioner for Refugee) Good Will Ambassador Angelina Jolie talks to Afghan returnees squatting in a public building during her three day visit in Afghanistan. Sixty-five families that returned from Pakistan and Iran around 2002 are squatting in what was a bus station as they came to the city to look for employment, due to the lack of land and job opportunities in their province of origin. 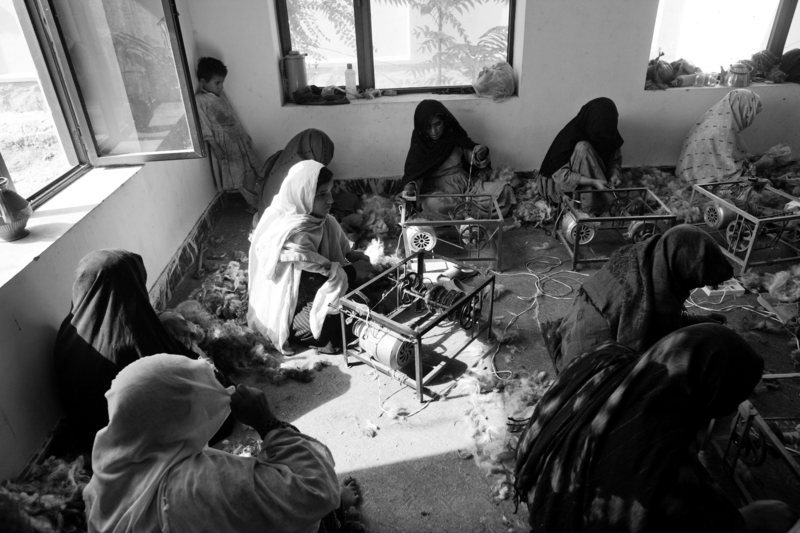 Afghan woman spinning wool in a skill training project facility for widows during UNHCR (United Nation High Commissioner for Refugee) Good Will Ambassador Angelina Jolie’s visit of Afghan families that recently returned from Pakistan. UNHCR (United Nation High Commissioner for Refugee) Good Will Ambassador Angelina Jolie in a skill training project facility for widows of families that have recently returned from Pakistan. 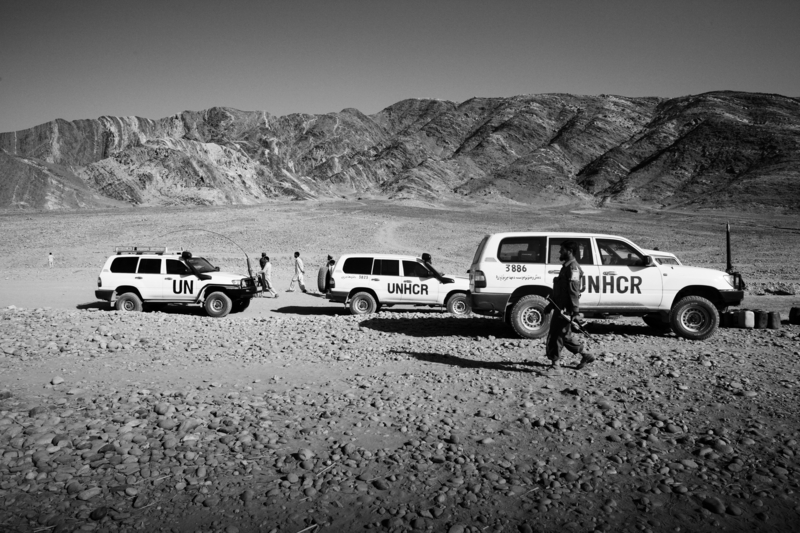 UNHCR vehicle are seen stationing at Tangi refugee camp during UNHCR (United Nation High Commissioner for Refugee) Good Will Ambassador Angelina Jolie’s visit of Afghan families that recently returned from Pakistan. 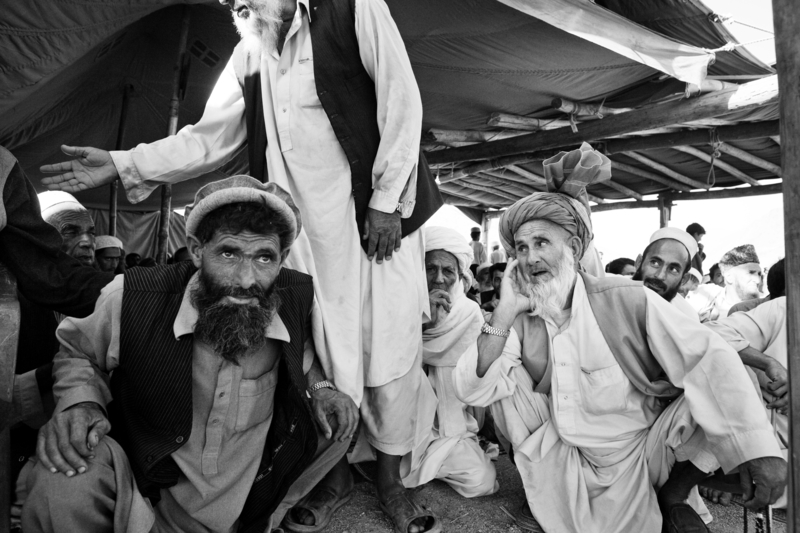 Afghan elderly listen to a speech delivered by UNHCR (United Nation High Commissioner for Refugee) Good Will Ambassador Angelina Jolie during her visit of Afghan families that recently returned from Pakistan in Tangi refugee camp. 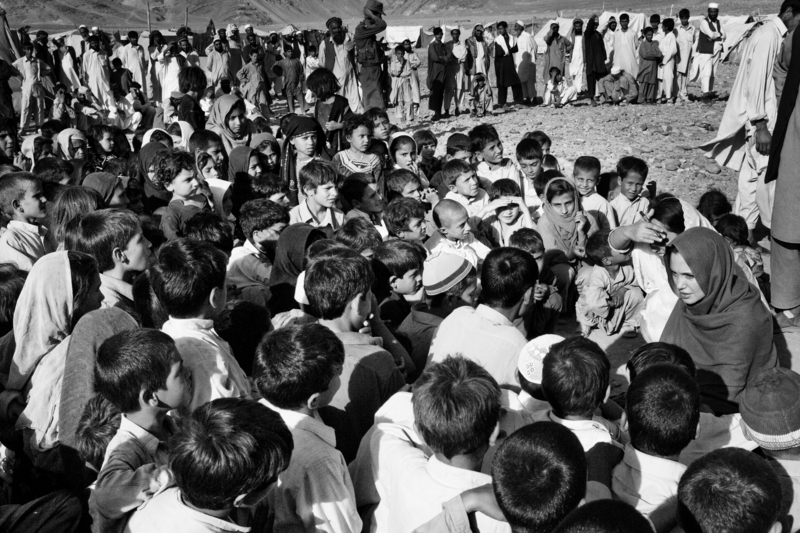 UNHCR (United Nation High Commissioner for Refugee) Good Will Ambassador Angelina Jolie talks to Afghan returnees during her three day visit in Afghanistan. 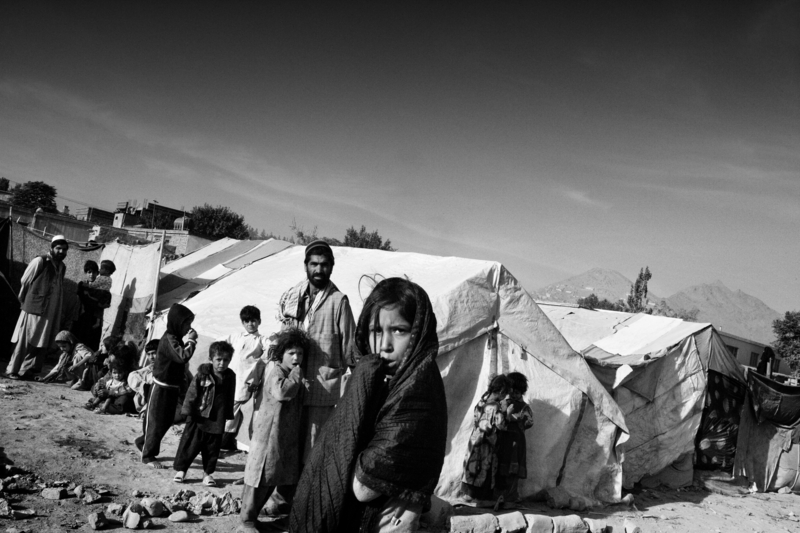 Eighteen families are living under makeshift tents, in very poor hygienic conditions which returned from Pakistan in 2002/2003 under the UNHCR assisted repatriation program. They were landless and did not return to their place of origin in Parwan province, but instead decided to stay in Kabul making their incoming from daily wage labor for the men and begging for most of the woman and children. An Afghan returnee during the UNHCR (United Nation High Commissioner for Refugee) Good Will Ambassador Angelina Jolie’s three day visit to Afghanistan. 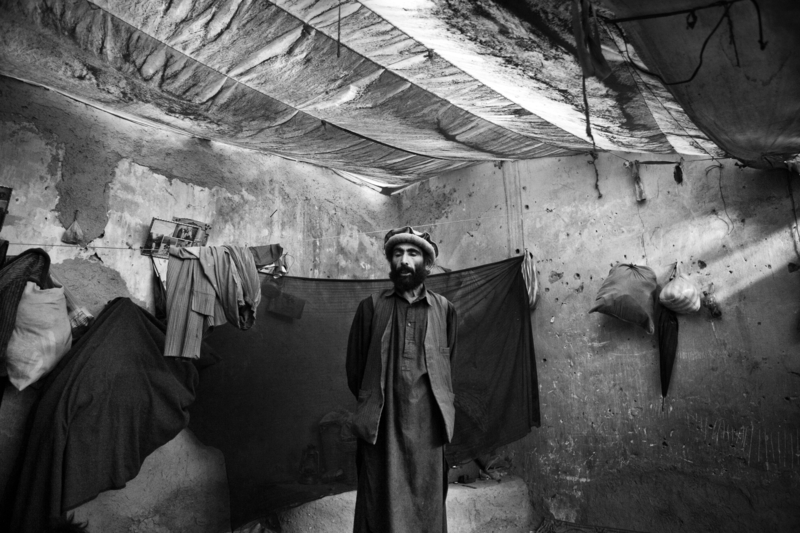 Eighteen families are living under makeshift tents, in very poor hygienic conditions which returned from Pakistan in 2002/2003 under the UNHCR assisted repatriation program. They were landless and did not return to their place of origin in Parwan province, but instead decided to stay in Kabul making their incoming from daily wage labor for the men and begging for most of the woman and children. UNHCR (United Nation High Commissioner for Refugee) Good Will Ambassador Angelina Jolie holds a baby of an Afghan family squatting in a public building during her three day visit in Afghanistan. Sixty-five families that returned from Pakistan and Iran around 2002 are squatting in what was a bus station as they came to the city to look for employment, due to the lack of land and job opportunities in their province of origin. An Afghan returnee squatting in a public building is seen during UNHCR (United Nation High Commissioner for Refugee) Good Will Ambassador Angelina Jolie’s three day visit in Afghanistan. Sixty-five families that returned from Pakistan and Iran around 2002 are squatting in what was a bus station as they came to the city to look for employment, due to the lack of land and job opportunities in their province of origin. UNHCR (United Nation High Commissioner for Refugee) Good Will Ambassador Angelina Jolie talks to an elderly Afghan returnee squatting in a public building during her three day visit in Afghanistan. Sixty-five families that returned from Pakistan and Iran around 2002 are squatting in what was a bus station as they came to the city to look for employment, due to the lack of land and job opportunities in their province of origin.